1. 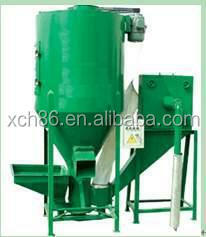 Animal feed grinder and mixer can be used to crush and mix grains, corn, wheat, beans and bran. It can manufacture feed for pigs, cows, horses, rabbit, chicken etc. 1.This machine is mainly used for crushing and mixing all kinds of dry animal feed and consists of a feeding machine, grinder, mixer consists. 2.It is most suitable for small farmers using, and it can mix and crush feed for pigs,cows,horses, rabbit, chicken,fish, dove and so on. it has the crush and mix function at the same time,very convenient and easy to operate.